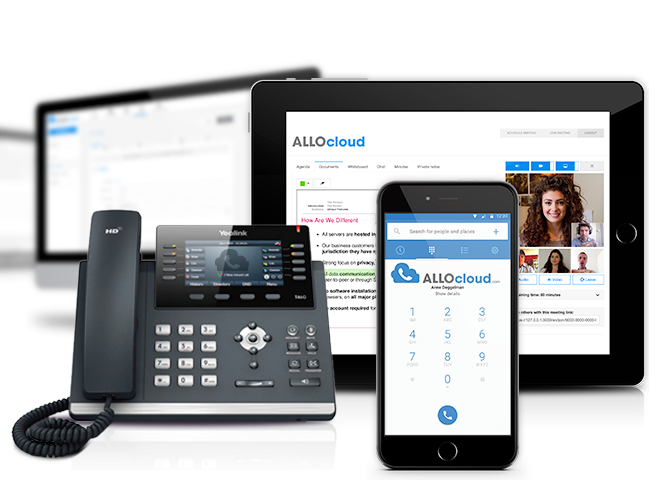 With the ALLOcloud advanced Telephony and Collaboration Services in the Cloud you can maintain focus on your core business without being hampered by unnecessary infrastructure investments or expensive maintenance contracts. Connect your IP phone, smartphone or computer to the Internet and you’re ready for cost efficient and advanced communication with business partners and colleagues, whenever and wherever your are. Digicloud Communication provides installation, technical support, manages your telephone exchange and takes care of everything for you.